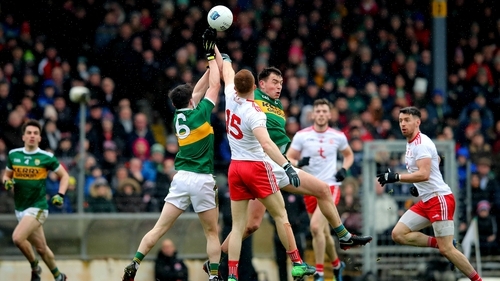 Two of the four Gaelic football rule changes have had an immediate impact, but time will tell whether they will be an overall success, according to Oisín McConville. Though the hand-pass rule has been scrapped, the four other rules trialled during pre-season - the offensive/defensive mark, the 20m kickout, the mandatory forward sideline kick outside the 20m and the sin bin – got their first run out in the Allianz League this weekend as players and supporters alike adapt to the changes. Speaking on RTÉ Radio 1’s Morning Ireland, the 2002 All-Ireland winner said two in particular were highly evident after round one of the football league. "We’ll have to reserve judgement for another couple of weeks, but I think there are a couple of rules which are having a significant impact. "The kick-out rule is one where we are going to see a lot more contests in the middle of the field - I think that’s a good thing - and the offensive mark, even though I’m not really sure if I like it or not." Monaghan were one of the main beneficiaries of the offensive mark, claiming nine in their scalp of All-Ireland champions Dublin at Clones. Their use of accurate footpassing into space for their forwards to gather is perhaps an unforeseen aspect of the rule change. "One of the things about the offensive mark is that we all thought that it’s the big man on the edge of the square, whereas what it has done so far is that it has encouraged movement from the forwards. "It has encouraged teams to leave two men inside and eventually that will be a positive thing." 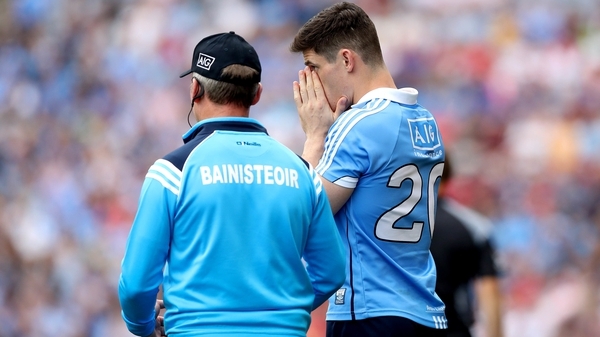 Dublin manager Jim Gavin has stated his belief that the controversial hand-pass rule should have at least been maintained for the league, a view to which McConville subscribes. "To dispense with some of the rules before they have been properly trialled was a little bit of a knee-jerk reaction," he says. "I think we should have given it more opportunity during the league"
"Nobody really likes change, but sometimes we have got to embrace it. The three hand-pass rule hadn’t really worked, but it was pre-season competitions and players were still getting used to it. I think we should have given it more opportunity during the league."